The Journal of Pharmacokinetics & Pharmacodynamics (JPKPD). ISoP members can access the journal by logging into their landing page through the member login button. As an ISoP member you have access to both journals. Click here to become a member! ISoP is affiliated with Springer, establishing the Journal of Pharmacokinetics & Pharmacodynamics (JPKPD) as an official publication of the Society. In 1982, the Journal gave voice to the new discipline of pharmacometrics and provided a forum for the scholarly contributions that were seminal to the early development of the discipline of pharmacometrics. This partnership between the Society and the Journal will further promote the central role of pharmacometrics in advancing the discovery, development, and utilization of new medicines for the treatment and prevention of disease to improve human health and well-being (Affiliation between the Society & JPKPD). 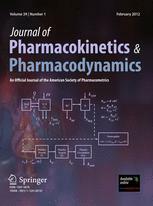 The Journal of Pharmacokinetics & Pharmacodynamics is devoted to illustrating the importance of pharmacokinetics, pharmacodynamics, and pharmacometrics in the understanding of drug action, therapy, design, development, and evaluation. It presents experimental and theoretical papers examining the kinetics of drug disposition and drug action; clinical pharmacokinetics; factors affecting formation and disposition of drug metabolites; dosage form evaluation from animals and humans; bioavailabilty studies, scaling from animals to humans, and in vitro and in vivo correlations. A special section is provided for papers addressing pharmacometrics, the computational and statistical methods used for the modeling, analysis, interpretation, and simulation of pharmacokinetic and pharmacodynamic data. Most published papers illustrate and apply their finding to real-world observations in animals and/or humans. CPT: Pharmacometrics & Systems Pharmacology (CPT:PSP) is a sibling journal to the well-established high impact journal, Clinical Pharmacology & Therapeutics (2013 Impact Factor, 7.39, Journal Citation Reports, Thomson Reuters, 2014). The journal provides a unique international forum for scientists in the pharmacometrics and systems pharmacology space. CPT:PSP is published in partnership with Wiley and is an official journal of the American Society for Clinical Pharmacology and Therapeutics (ASCPT) and the International Society of Pharmacometrics (ISoP). 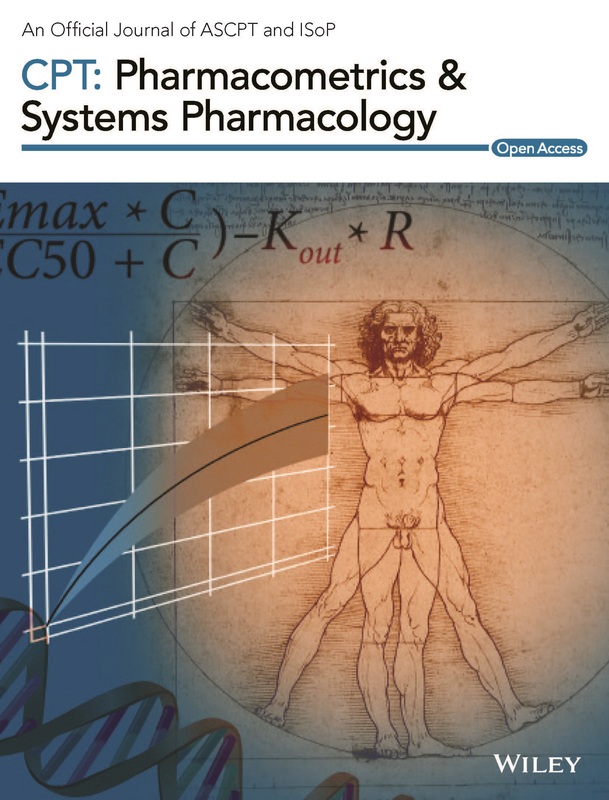 CPT: Pharmacometrics & Systems Pharmacology is a cross-disciplinary journal devoted to publishing advances in quantitative (e.g. modeling and simulation) methods as applied in pharmacology, physiology and therapeutics in humans. The journal welcomes original research articles, reviews and tutorials that bridge the following areas: pharmacometrics, modeling and simulation as applied to the design and evaluation of clinical trials, systems pharmacology modeling, particularly with a mechanistic link to human (patho)physiology, disease modeling, “population” or mixed-effects pharmacokinetics and pharmacodynamics (PKPD) modeling, modeling and simulation to support translational research, physiologically-based pharmacokinetics (PBPK), model-based meta-analyses of clinical trials, mechanism-based pharmacokinetic-pharmacodynamic modeling, computational pharmacology, bioinformatics, comparative efficacy, effectiveness and cost-effectiveness. Systems pharmacology may involve the application of systems biology approaches to study drug activities, targets and effects. The discipline is often defined with reference to engineering and pharmacological principles as the quantitative analysis of the dynamic interactions between drugs and a biologic system that aims to understand the behavior of the system as a whole. The common focus will be on quantitative methods that improve our understanding of pharmacology and therapeutics in humans. CPT:PSP offers virtual issues on high impact topics as applied to the realms of pharmacometrics and systems pharmacology. These virtual issues, including Cancer, Diabetes, PBPK Modeling, Pediatrics, Reviews, and Tutorials, are compiled collections of cutting-edge CPT:PSP content into themed issues for ease of readability and convenience for the journal's global readership. View these virtual issues online at www.cpt-psp.com.